Shooter Jennings (born Waylon Albright Jennings in 1979, ) is an American country music singer, the only child of Waylon Jennings and Jessi Colter. His middle name comes from his father's drummer, Richie Albright. His father nicknamed him "Shooter" after he urinated on a nurse shortly after birth (as the elder Jennings wrote in his 1996 autobiography). Shooter Jennings lived his first few years in a crib on his parents' tour bus. By age five, he was playing drums. Shooter Jennings lived his first few years in a crib on his parents' tour bus. By age five, he was playing drums. Between tours, he took piano lessons. He started playing guitar at fourteen and sometimes played in his father's band. He and his father recorded a few things together when they happened to have some microphones set up and the tape recorder plugged in. At age sixteen, Jennings discovered rock 'n' roll. As an adult, Jennings left Nashville, Tennessee to seek his fortunes in Los Angeles. He assembled and performed with Stargunn, a southern rock band whose sound he described as Lynyrd Skynyrd mutating into Guns N' Roses. Stargunn performed at local clubs for six years, built a rabid following and earned praise from the local music press. But the Hollywood party scene eventually began to bother him. He says, "I was posing as a rocker?a country guy trying to be something he wasn't." On March 30, 2003, Jennings dissolved Stargunn and moved to New York City to spend time with his girlfriend and sort out what he wanted to do next. An unexpected gig at the House of Blues a few weeks later revived his creativity. He returned to Los Angeles to form another band, the 357s. After six weeks in the studio, he completed his first solo album, Put the O Back in Country. Universal South released the album in early 2005. Jennings portrayed his father in the Johnny Cash biopic, Walk the Line. He is the host of Shooter Jennings' Electric Rodeo, a two-hour weekly music show on Sirius Satellite Radio's Outlaw Country channel. He currently dates Drea de Matteo. 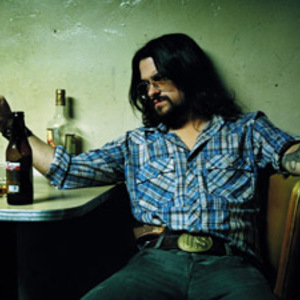 Shooter Jennings' second solo album "Electric Rodeo" was released on April 04, 2006.